Doug McAllister found it hard to pass up the opportunity. A building he could own of rent, new customers, a new product niche that helped his current customers – all good things, right? 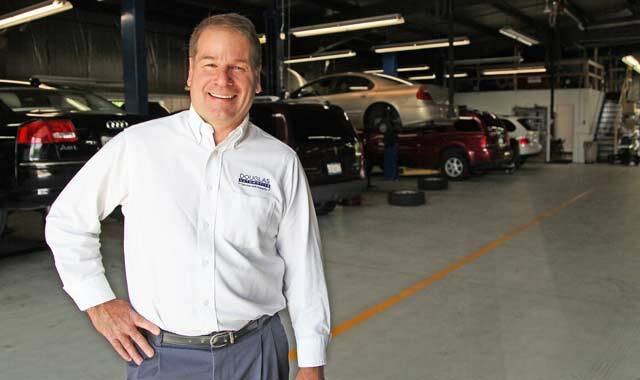 When McAllister, owner of Douglas Automotive, 123 E. Virginia Road, Crystal Lake, prepared to buy out the retiring owners of Rick & Lou’s Service Center in 2011, also in Crystal Lake, he had a lot to consider. The upside: more customers, more business, more control. The downside: a challenging economy and a big financial investment. Since McAllister bought out his competitor and moved into the new space in November 2011, he’s doubled his capacity, added employees and increased his inventory. Like McAllister, many small-business owners are stretching their legs in an economy that looks much different from just five years ago. Competition has changed, and so have conditions. Opportunities exist, and despite many uncertainties in today’s economy, small-business owners are making investments. You may have grand plans of buying equipment, hiring staff and adding customers, but before you start, it’s important to have goals in mind. How does your road map to growth look? Is it clear and concise, or meandering and incomplete? Northwest Quarterly sat down with area finance and marketing professionals to better understand prudent business growth in today’s challenging environment. We’ve outlined five things to consider before you rev the engines, and searched out some of the roadblocks that may lie ahead. 1. Know Your Goal: Set an end and develop the means. Jean Marie Saidler, president of JMS Consultations Inc., 265 Exchange Dr., Crystal Lake, offers every marketing client a simple piece of paper: a road map to effective marketing. Like an old Rand McNally, it has major destinations – events, Internet, public relations, advertising – and avenues toward those destinations – promotions, trade shows, profiles, social media, more. It’s not a lesson in futility. She’s trying to help business owners see the big picture, as well as the details. In many cases, goals include buying out a competitor, purchasing equipment, hiring employees, entering new markets or launching new products. When McAllister, one of Saidler’s clients, purchased his competitor, he detailed how to move personnel and equipment from one location to another, how he’d finance it all and how he’d add a niche that was his acquisition’s specialty. Then, he had to tell his customers. Bankers and marketers can help to steer the conversation and focus tightly on the objective, when a business readies for expansion. Tom Bayer does this in his role as partner-in-charge for performance measurement at Sikich, a Midwest business consulting company headquartered in Naperville. Bayer focuses on business planning and succession planning for middle market businesses, helping businesses to define their goals and the key metrics that they need to monitor to achieve those goals. Bayer creates “dashboards” of key financial information that inform the financial road map of a business. Here’s one scenario he often sees. Mr. Smith, a middle-aged business owner, wants to retire in five to 10 years. Does he grow his business and make it more attractive for acquisition, or does he grow the company to pass on to his children? The road map would look very different, depending upon which choice Mr. Smith makes. Banks require businesses to define clear financial goals, too. When he is advising a client, Brian Monson, VP of Commercial Lending for STC Capital Bank, 460 S. First St., St. Charles, requires a dashboard and financial road map. Customers who map out their goals are better prepared for the production, equipment and personnel needs that may require financing, says Monson. Plan ahead, even during a recession. 2. Do Your Homework: Understand your risks, rewards and challenges. Know what you don’t know. Monson has a simple question for clients who want to grow their businesses: Why do your customers value you – what’s in it for them? The answers help to define a purpose for growth and to guide overall strategy. Because growth is a big investment, it’s important to prepare thoroughly. By seeking out professional help, business owners can fill in the unknowns and gain perspective about successfully reaching their goals. First, however, Monson wants his clients to do some homework. For example, one of his clients has a simple litmus test: If a potential acquisition satisfies his limits for size, niche, location and price point, he’s interested. Other factors take some work to uncover. Taxes, insurance, transportation, workforce and utilities could all impact the bottom line, says Gary Neubauer, audit partner at Sikich. In Illinois, rising taxes may force some businesses to flee to other states, and that could change the supply chain, he says. Doing your homework also includes an honest self-assessment, because sometimes businesses take foolish risks. This happened during the lead-up to the financial crisis. Some risks can only be discovered with very careful digging, or by consulting those in the know. Bankers, accountants and other professionals have market knowledge and observations they’ve acquired through their own work. Their questions can help you to fill in the blanks. Tony Reyes, president and owner of Carton Craft, in St. Charles, is closely guarded about his business growth, and rightfully so. A producer of printed, folded cartons, Reyes says he has clients among the Fortune 100, and competitors of similar stature. What he’s not afraid to admit is that he’s grown constantly for the past decade. This year alone, he has 10 to 15 percent more employees and about 30 percent more business. Now, he’s researching acquisitions in other states, closer to customers. 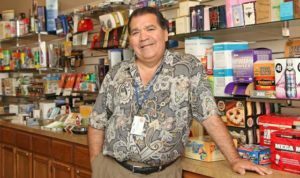 Reyes has spent years chasing new customers, but he’s always ahead of the game. 3. Set a Budget: Manage your variables and debt; monitor your cash flow. With your goals and your road map in hand, your budget is the defining piece in an effective expansion. It’s more than just numbers. Cash flow, debt and financing sources play a major role in budgeting for growth. Monson, of STC Capital Bank, encourages clients to consider both long-term and short-term financing needs when setting a budget. Start with a forecast of your potential expenses and income, and consider how they’ll change over time. Factor in the long-term expenses of new equipment or buildings, while accounting for short-term expenses for materials, receivables and inventory – all of which will impact cash flow and lines of credit. Accountants Neubauer and Bayer, of Sikich, compare expected income against costs like interest rates, buying or leasing property and personnel. Remember that each could change over time. When forecasting, start with your assumptions and fixed costs, says Monson, and control the variables. Mike Trimarco is executive vice president of St. Charles Bank & Trust, 411 W. Main St., St. Charles. Before he writes a loan, he wants to know about a business’ debt. Growth and acquisitions require capital and debt, so it’s hard to finance an overleveraged company. Because so much has changed over the past few years, Trimarco compares recession-era benchmarks against pre-recession results. Even if balance sheets are healthy, today’s tighter credit market may require a change in strategy. Credit is easier to acquire for short-term or small-scale loans. For those with better credit, today’s low interest rates make it cost-effective to refinance a property. Some customers at St. Charles Bank are doing so through the Federal government’s Small Business Administration (SBA). One of Trimarco’s clients is Chuck Stencel, owner of Serenity Packaging, which has grown aggressively from its St. Charles headquarters throughout North America. A conservative budgeter, Stencel says he’s always planning for a worst-case scenario. If there’s one thing he’s learned in 15 years of constant growth, it’s that growth isn’t easy. “You’re going to put in three times as much work and twice as much capital as you expect,” he says. Before he started working with Trimarco at St. Charles Bank & Trust, Stencel worked with a variety of big banks, each with a revolving door of staff. The relationship is much different today. As Reyes constantly improves his business capacity at Carton Craft, he appreciates the impact of cash flow and the assistance he gets from his bank, STC Capital Bank. When his former bank began collapsing in the recession, he was left high and dry. An entrepreneur to the core, Reyes’ philosophy is to avoid distractions. “In order to be competitive, I have to focus on the things I can control,” he says. 4. Target Your Audience: Don’t sing to the crickets. Obviously embarrassed, the dutiful husband runs to Walgreens, coyly grabs the cashier’s brown paper bag and escapes the store. It’s a catchy way to advertise the drug store’s new online ordering and in-store pickup service. Sue Dobbe, president of Dobbe Marketing & PR Inc., 104 Minnie St., Crystal Lake, doesn’t work with Walgreens, but she sees this campaign as a clever product differentiation message. With specialties in branding strategy and evolution, Dobbe encourages her clients to “make some noise,” a key to attracting new customers. When promoting your new product or expanded business capacity, don’t wait for customers to come; reach out to them. Find your audience, tell them who you are and show them why they should care. Dobbe encourages her clients to look at a business from the customer’s perspective. How do they perceive your products and services? How does your new product or service benefit your customer? Does your brand still represent your market? When Saidler’s team at JMS Consultations spiced up a business-to-business client’s marketing approach, they focused on the Minnesota-based manufacturer’s favorite way to attract attention: the color orange. Effective marketing is an art. Customers want something that speaks to them, that isn’t a canned, recycled message. For a trade association client, the JMS team developed a separate web domain geared toward younger students, and crafted an overall message aimed at the predominantly male industry. When pursuing new customers, it may be that there’s too much of a good thing. Neubauer says he’s seen some clients so focused on growth that they lose sight of their core audience. Sikich advisors recently guided Roger Harris, owner of Producers Chemical, through a strategic move from an older facility in Batavia to a newer, larger place in Sugar Grove this February. Because he did his homework beforehand, Harris knew what to expect from the move. From his client’s viewpoint, his product has not changed. But he has more than doubled his production capacity and the newer facility has heightened his prestige among target customers. Set on 8.5 acres, the new facility includes a 50,000 square-foot warehouse for packaging and distributing chemicals to manufacturing clients. The more modern facility won’t change the product, says Harris, but it helps his employees and it helps to attract new clients. 5. Anticipate a Reaction: Can you handle the extra traffic? Perhaps that direct mail campaign was too successful. Dobbe had a client on the phone, thanking her for the outstanding reaction. “He said: ‘Our phones can’t handle the phone calls. We only have one person answering the phones and they can’t keep up,’” Dobbe recalls. The client soon hired a second receptionist. Successful growth inevitably builds traffic. Are you ready to handle a big crowd? Be prepared. While businesses are still in the planning phases, Dobbe says, they should forecast how a marketing campaign and increased traffic will impact production, staff time and other resources. Set a target and know how to handle overflow. It may be time to cut back on marketing, or to increase production. Conversely, if your message doesn’t hit its mark, then maybe it’s time to rebrand your product, or to find a new way to connect with audiences. Patience is a virtue, says Saidler, of JMS. Results won’t happen overnight, and a solid marketing plan takes years, not days, to implement. From a financial standpoint, consider how the extra traffic impacts your cash flow. How quickly will customers pay you? How long will inventory sit around? Trimarco, of St. Charles Bank & Trust, warns that in some cases, a forecasted three-month goal could turn into eight months or longer. He advises clients to maintain enough equity and working capital to ride out the storm. Crystal Lake’s economic development department sought Dobbe’s help when creating the highly successful “I Shop Crystal Lake” initiative in 2008. “We’re pleased that we were able to incentivize more than $1.5 million in purchases at Crystal Lake businesses through this program,” says James Richter II, the City’s assistant director of economic development and program chair. In fact, the response to the campaign exceeded expectations, and therefore needed to be tweaked along the way. 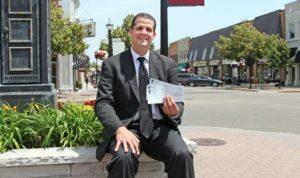 The City provided nearly $100,000 in “I Shop Crystal Lake” gift certificates to the first 3,333 shoppers who submitted copies of their receipts for at least $300 in purchases from Crystal Lake businesses. Nearly 5,000 shoppers responded. Overwhelmed by the response, the City revised the program. “The City’s $100,000 investment each year in 2008 and 2009 was appropriately timed to support local businesses during trying economic times,” Richter explains. “The program continues now, but with a smaller payout, in the form of a contest.” Now, shoppers who submit their receipts for at least $200 are entered into a drawing for up to $1,000 in vouchers. In its present form, “I Shop Crystal Lake” is more sustainable and causes less paperwork, while still accomplishing the original goal: to encourage local shopping by increasing market share. Is now the right time to grow your business? In a May survey by the National Federation of Independent Businesses, only 7 percent of small-business owners said now is a good time to expand. Overall, they’re more optimistic than in 2011, 2010 or 2009. Economic signals remain mixed. In the first quarter of 2012, GDP grew just 1.9 percent – poor, but better than the 0.4 percent during the same time last year, according to the federal Bureau of Economic Analysis. While GDP shrank 3.5 percent with the recession in 2009, it grew 3 percent in 2010, and 1.7 percent in 2011. Amidst so many uncertainties, Saidler’s clients are proceeding with caution. Trimarco, of St. Charles Bank & Trust, points to lingering unemployment and increased de-leveraging among consumers as reasons why his business clients are increasing profits through cost-cutting, more than through sales. “Profits are growing, but businesses have shrunk,” he says. Monson’s clients are taking early steps toward growth, making purchases they put off during the recession, the result of pent-up demand. He says growth is most likely to come through acquisition of competitors or a stronger market position. Among their worries: Financial chaos in Europe, a consumer slowdown in China, uncertainty about health care costs and tax rates. Brian Wesbury, chief economist at First Trust Advisors, in Wheaton, likens today’s economy to a plow horse, burdened by regulation and taxes. Who cares about today’s uncertain economy? Not Reyes, the package printer in St. Charles. He’s spent the past decade aggressively growing his company, and the competitive entrepreneur is not about to stop for Washington, or anybody else. For him, there’s but one goal: Keep growing. This entry was posted on Wednesday, June 27th, 2012 at 12:00 pm	and is filed under Northwest Business Magazine, Top Posts. You can follow any responses to this entry through the RSS 2.0 feed. Both comments and pings are currently closed.